A fashion design school in New Zealand recently held a fashion show full to the brim with student explorations and designs. The Eastern Institute of Technology International in New Zealand showcased the work of twenty three of the school’s fashion design students. 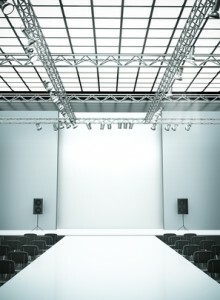 The fashions included in the show were from fourteen first year students and nine seniors at the fashion design school. The fashion show’s coordinator, Christina Rhodes, has been responsible for the show since its inception twenty years ago. Rhodes said that the standard of the clothing continues to be high and that is was exciting to see student individuality reflected in their fashion designs. The freshman students designed cult-couture and street-wear for presentation on the catwalk as part of the requirement for students seeking a two-year certificate in fashion design. They were also required to produce three other designs for their portfolios. EIT allowed its cosmetology students to partake in the fashion show, performing hair and makeup tasks on the models. EIT’s film students were also involved in the event, recording the demonstrations at the show for their own project and allowing the fashion design students the opportunity to take a copy of the DVD away with them after graduation. The second year students at the fashion design school were able to learn about fashion shows earlier in the school year during New Zealand Fashion Week. The fashion school’s show brought the message home that the total package is important on the catwalk – great clothing, great models, great hair, and great makeup. The fashion design school requires students to research their industries, taking opportunities to discover where they are headed following graduation. Some students choose to continue in their pursuit of education about fashion design and others are ready to seek out their big break into the fashion industry.